Sega Forever, the free to play service which offers classic Sega titles for free on mobile devices has updated today to include Sonic the Hedgehog 4: Episode 2. Originally released back in May 2012 (6 years ago), Episode 2 was one the whole a much better received game than Episode 1, with boss battles being more original and varied, level design noticeably improved and the inclusion of Tails to allow for special co-op moves. The Sega Forever version has made one significant change to the original release, Episode Metal is now available immediately, previously you had to purchase both Episodes 1 & 2. 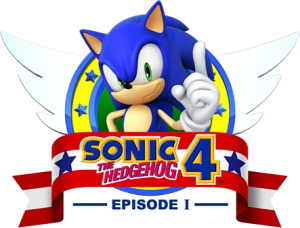 Sonic 4 Episode 2: Is now available on Google Play & the Ios App Store. SEGA Japan has recently put up a new website archiving all of its digital download games, and thanks to the keen eyes of Woun over at Sonic Scene, we’ve got some interesting news to report. If you take a look underneath Sonic the Hedgehog 4: Episode I and Sonic the Hedgehog 4: Episode II, you can see not only SEGA listed as a copyright holder, but PROPE, too. 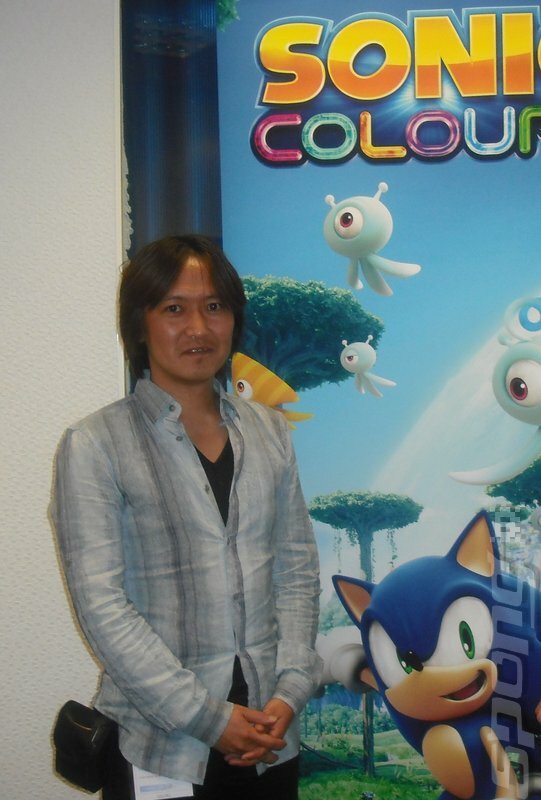 PROPE, as a lot of you will know, is the developer founded by Sonic the Hedgehog’s original creator, Yuji Naka. Could this mean Yuji Naka’s development studio had a part in Sonic the Hedgehog 4‘s development, or is it just an error? Thanks to SSMB member and Sonic Scene founder Woun for the heads up! A slew of 14 high quality screenshots have just surfaced regarding Sylvania Castle Zone and the massive Egg Serpentleaf boss of the upcoming Sonic the Hedgehog 4: Episode II. Not much to say other than they look gorgeous! Check out the rest of the gallery after the jump! Continuing our coverage on Sonic 4: Episode 2, the Xbox 360 product page for the upcoming episode of the Sonic 4 saga has updated with seven new screenshots today. The screenshots showcase more of Sylvania Castle Zone, as well as White Park Zone. Check out the entire gallery after the jump! Aaron Webber just wrote a post over at the Sonic Retro forums regarding the amount of changes that will be made to Sonic the Hedgehog 4’s physics for the final game. There are some minor changes to music, most notably being one act that has actually had its music revamped completely. We’ll reveal which act this is as part of our S4 Update Blogs. Physics in general are not going to see too many massive changes, though know that I did push months ago to see how much would be possible. The biggest hurdle here was the level design, and the many ways that even small physics changes require updating almost every stage. It is never as easy as many might think, but I did ask and made sure it was brought to certain people’s attention. Our biggest focus with the updates has been to make a game that people can have fun playing. When you play Sonic 4, whether you’re an old fan or a new fan, that you can enjoy the levels and not have any moments that are too frustrating or difficult, or that make you want to stop playing. No moments where a random gimmick forces you to lose the fun factor that the game had. This is why Lost Lab Act II saw major updates from the original design, and why other parts of the game are also being polished, including another big level update I think you guys will be glad to hear of. In addition to the big stuff, and though physics won’t be changed to the extent I know some people here would like, we have thrown in a number of small but important updates to other minor parts of the game. They are things that I doubt most reviewers will ever take note of, but that you guys as fans will hopefully appreciate. Some of these will also be revealed in our next S4 Update blog coming this month. Though it’s impossible to fulfill every request,I hope that the changes we have made will prove that our claims to have been listening are founded solidly, and that while we can’t make every single person happy, we are doing what we can to make the game more enjoyable for everyone. Aaron Webber is a member of SEGA’s Community Team and has been their main liaison between Sonic 4 and the fans for awhile. Well, I’m finally getting around to uploading the stuff I got from PAX. This is the first piece I’m putting up: footage for the Wii version of Sonic 4. Jason tells me there hasn’t been much footage of this version, so he told me to get some. 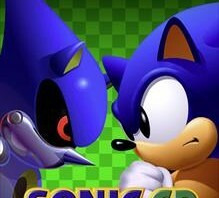 Not sure if you’ll notice the differences, but the only real changes are more noticeable jaggies and darker colors, the most notable of which being the darker color of Sonic himself. The Wii’s D-pad was a really nice change in control from the crappy D-pad on the Xbox 360, so unless I can get my hands on a good 360 retro controller before the game comes out, I might find myself buying this version instead. As you can see, I screwed around in the demo a bit. Mostly, I was experimenting with the game and trying to find things I didn’t see last time. The game was, of course, fun. As I’ve said before, the game focuses primarily on momentum, with many of the boosters only acting to keep you moving along, or help you up steeper areas that don’t give you much room to build up speed. I skipped a couple, some by accident and some on purpose, but that didn’t impede my progress much. I will say this, though: upon repeated play, the different physics have become glaringly apparent. They don’t do anything to actually hurt the fun, but really, if the fans figured out the equations to Sonic physics years ago, would it really be that hard for you to realize them in Sonic 4, Dimps? It almost feels like the game is “faking” the physics at times. Yes, Sonic could go through loops, but he couldn’t horizontally on them! 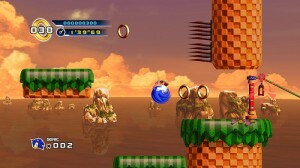 That said, Dimps has successfully made the closest thing we’ve had to a classic Sonic game in 11 years in this demo. Naturally, this is the E3 demo. Aaron Webber confirmed this for us before the show even started. It’s still a really fun game all around and I’m looking forward to the final product, which will hopefully change the physics enough to please those who want something even closer to what the classic games where. In an interview with Sonic Team head Takashi Iizuka, GamesTM Magazine reaveals that the man behind upcoming titles Sonic the Hedgehog 4 and Sonic Colours “would personally love to make a third NiGHTS game”. 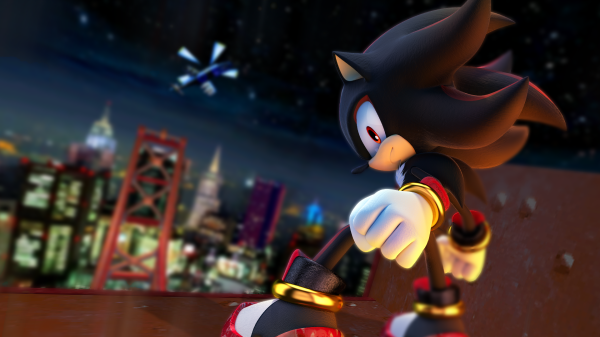 Although there are no current plans to make either title, the interest of the head of Sonic Team could mean that there could be a possibility for the creation of these titles in the future; something that should give die-heard Knuckles & NiGHTS fans a small ray of hope. The rest of the article can be read in next month’s edition of GamesTM Magazine, available to purchase in the UK from the 2nd of September, 2010. TSS Super Happy Hedgehog Moments: The Winners! So last week we ran a day competition where we asked you guys to recount your favourite Sonic memories to snag yourself some merch from the heaving pile of goodies I’ve got lying in the merch depot. Well, as always with these contests it was difficult, but we’ve finally managed to choose 10 winners who each nab themselves some delectable Sonic Schnit! ARCHIE ARCHIVES # 12 WINNER: Scruffy! Ah man Scruffy, I had a cry too! Scruffy described the heartbreak of when Sonic had to leave Uncle Chuck behind in the SatAM episode “Ultra Sonic”, and never got to see later episodes! No closure…oh the humanity! Luckily they did in the end though, so all’s well! And just in case Scruffy feels like a little blast from the past, they’ve now got a copy of the Archie Archives! Uncle Chuck…*sniff*. ARCHIE ARCHIVES # 12 WINNER:BlueHedgehog92! BlueHedgehog92 reminded us of what it is truely like to be a child again by telling the tale of receiving a Dreamcast for Easter…that’s a damn big easter egg for sure! I know it’s not Easter now, but hopefully this will keep them tided over until Christmas! SONIC STICKER ALBUM & STICKERS WINNER: Staples! Staples made us laugh with their description of their playground game Sonic tag…we sure hope you’re a girl if you were always Amy though (Unless you carry a mallet around with you!) Well now you can swap stickers at leisure on your lunch break with this nice little prize! JAZWARES 3″ SONIC FIGURE WINNER: Fred! Fred knows exactly how to win competitions when it comes to pandering to my soft spots…and boy do I have one for the US Sonic CD soundtrack! Thanks for reminding everyone just how atmospheric it is! …and have a Sonic! JAZWARES 3″ SONIC BLACK KNIGHT FIGURE WINNER: Tyoshi! JAZWARES 3″TAILS FIGURE WINNER: Jade W-C! Continuing on from the theme above, I’m sure you’ll all have encountered the “barrel of doom” from Sonic 3. Jade certainly has, and we heard their story of their trials and tribulations. But hey…if you’ve got Tails…why don’t you just get him to fly you up? You don’t have Tails you say? Well here you go! JAZWARES 5″ SONIC BLACK KNIGHT FIGURE WINNER: Sapphire! Apparently Sapphire’s brother has a habit of gene splicing and creating horrible hybrid Sonic-character creatures. Knuckles Shrimp will truely haunt this collector for the rest of his life. Do you think Sonic with a sword will be able to fend for himself? We sure hope so! ForeverSonic reminded us here at TSS what a wonderful way to meet new friends Sonic the Hedgehog is. It doesn’t matter if you’re at a convention or online – it’s always great to talk to like-minded hog-fans. Thanks for reminding us of the true meaning of Christm…I mean…have a T-Shirt! Flint gave us a heart-felt account of remembering bygone days of being a devoted Sonic fan, triggered when they heard an old favourite track. It reminded us at TSS that Sonic music really is the soundtrack to our lives, and that Sonic isn’t just a videogame character to a great deal of us. We hope by wearing your victory spoils you can remember more fond memories! SONIC & SEGA ALL-STARS RACING NINTENDO DS GAME WINNER: Sonic Toast! Competition winners please email your postal addresses (and your usernames so I know who is who!) to the competition address tbird[at]sonicstadium.org, and we’ll get your prizes out to you as soon as possible! Thank you to everyone else who shared their memories with us – we’re all full of nostalgia now! Remember if you didn’t win anything this time, there’s always another competition around the corner! Wooo! Partay! What with Sonic turning 19 years of age, we at TSS are clearing out our merchandise cabinet and giving you the chance to grab some goodies! 1 x copy of Sonic & SEGA All-Stars Racing for the Nintendo DS! 2 x Sonic the Hedgehog Shirts, courtesy of SEGA of Europe! 2 x Sonic the Hedgehog Archie Archives Volume 12 Paperback books! 1 x Jazwares Sonic and the Black Knight 5″ Figure! 3 x Jazwares Sonic the Hedgehog Figures (Sonic, Tails, SatBK Sonic)! 1 x Sonic the Hedgehog sticker album and sticker packs! That’s 10 prizes for 10 winners! All we want you to do is share your favourite hedgehog moment with us in the comments! It might be about the first Sonic game you bought, it could be about a childhood memory of meeting the Sonic mascot as a kid! It might even be your favourite moment in a videogame! Be creative, be original…but most of all make it Sonical! Closing time will be 12:00PM BST tomorrow (Thursday, 24th of June 2010), so all those living on the other side of the pond can get your memories in too! We don’t mind if you want to send in more than one entry either, however there will be a maximum of one prize per entrant. My favourite moment has to be getting a chance to play on the SEGA tour bus…or was it getting to play Unleashed months before it came out? Hang on, no, it’s definitely that bit in Sonic X…ah, so many memories! 2 June, 2010 at 11:29 pm (Edit)@Shadzter: Hate to break it to you, but this is a preview from an old issue that they’ve only just now put online. So everything you read is at least a month or two out of date. So the removal of motion controlled act’s may still be rumour for now. Official Nintendo Magazine UK have posted a new preview for Sonic the Hedgehog 4: Episode 1 on their website together with a bunch of screenshots of Splash Hill Zone in the WiiWare version. Most interesting is the part about the Special Stages and motion control aspects where ONM confirm rumours going around the Sonic community that the two motion controlled Act’s have been removed from the console versions of the game. The Special Stage is a fantastic update of the spinny, psychedelic one from the first Sonic game. In the original, you had to guide Sonic through a maze of coloured stones to reach a Chaos Emerald. It’s exactly the same here, with the same lovely sound effect going off every time Sonic bumps into one of the colour-changing gems, and the same familiar chime when he picks up the Emerald at the end of the stage. There are a couple of additions this time though. There are also ring gates that you can’t get past unless you’ve collected enough rings, so if you haven’t managed it you need to go back and get more. 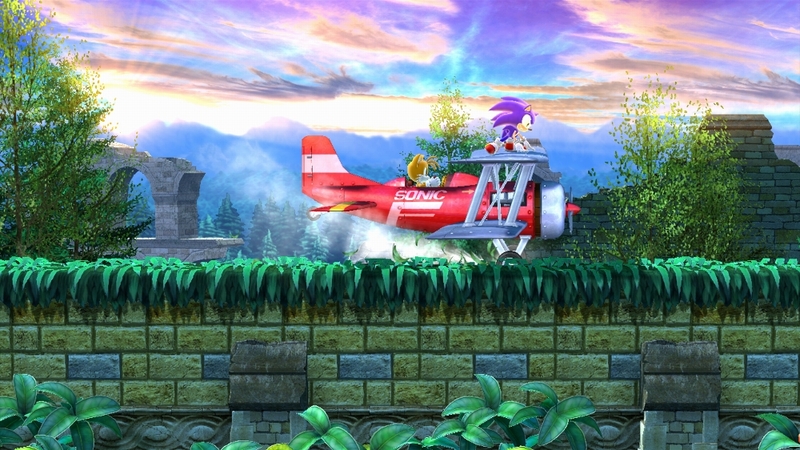 What’s more, the Special Stages also have motion control, so you’ll be tilting Sonic left and right with the Remote. This is the only time you’ll be tilting the Remote in the game, and it works. The Special Stages look superb and the addition of tilting controls doesn’t seem to detract from the experience whatsoever. 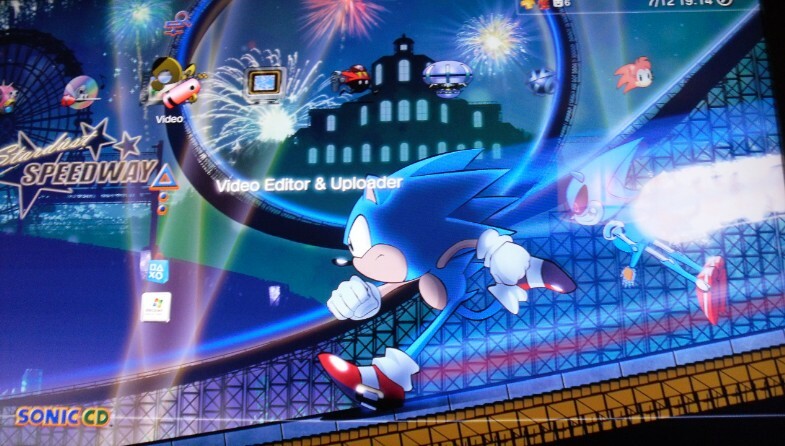 And yes, the rest of the main game is very much the traditional D-pad and buttons setup from previous Sonic games. Overall the preview is very positive, ONM continually throughout express their love for the games classic Mega Drive controls, feel and design especially the momentum required to build up your speed from the classic Sonic games. You can check out the preview for yourself in full with screenshots over at ONM’s website. 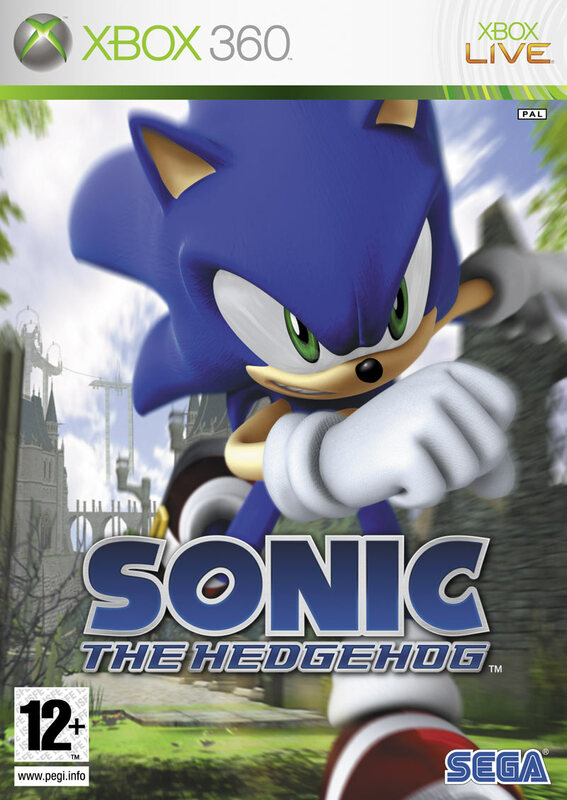 Good news for fans of pretty visuals in their games as the Official PlayStation Europe site and the Official U.S. Xbox site have confirmed that the PS3 and Xbox 360 versions of Sonic the Hedgehog 4: Episode 1 will play in 1080p HD via the games product pages at both sites. Now you’ll be able to get your classic Sonic fix in glorious full HD, Splash Hill Zone should be a treat with it’s brightly coloured environments and water falls. No other info such as a release date are listed at the moment but we’ll keep an eye out. 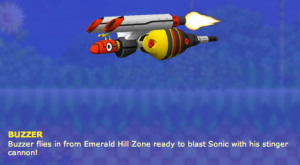 The official Sonic the Hedgehog 4: Episode 1 website has updated with Buzzers full in-game animation and a brief description. No mention of any new actions or features like some of the other badniks. Four new screenshots of Splash Hill Zone have also been added to the Screens section showcasing more of Act 3 in which the level is played at sunset. The extra life item box is seen in one of the screens which like the ones in the classics contains Sonic’s head on the screen. Also seen in the new screens is badnik Newtron in which he looks to have a new jumping action to avoid Sonic’s spin attack, either that or he’s just about to change into his rocket form. The next badnik has a timer of 2 weeks until it is revealed, could we have seen the last of the Splash Hill badniks? Could we be seeing the next zone soon? As usual we’ll keep an eye out for new info and media. Head over to the site to check it all out. Thanks to Doctor Eggman at the SSMB for the Buzzer pic grab! Yet another Sonic 4 preview has hit the net, this time from Gamespot who seem to be more concerned about the game than IGN and GamesRadar. Gamespot seem to think the game will strike a chord with classic fans but are worried about how the controls will work seeing as their preview was eyes-on rather than hands-on. An interesting part of the preview is the details regarding special stages where we find out the giant ring that requires 50 rings to enter the special stage at the end of an act is returning. Also revealed is that the Sonic 1 type maze special stages will contain barriers in them that only open when you have the required amount of rings. If you reach the end of these levels with more than 50 rings collected, you have the opportunity to jump into a giant ring that takes you to a bonus level. 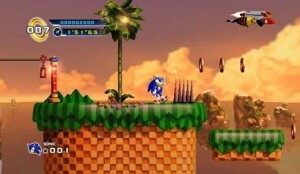 These levels are similar to those found in the original Sonic the Hedgehog in that you have to guide Sonic through a rotating maze. The interesting thing here is that in the Wii and PS3 versions of the game, you can use the Wii Remote or the Sixaxis controller to rotate the level manually to guide Sonic through (the 360 version will just use the analog sticks). There are barriers in the maze, but these can be unlocked by collecting a specific number of rings. Check out the full preview with a few new screenshots over at Gamespots website. Busy day for Sonic 4 news today, first GamesRadar post up a Q&A after getting a look at the game and now we have a preview from IGN who also got to check out the early stages of the game. IGN say some kind words about the game and even think it’s better than the original classics. The homing attack’s presence that alot of fans are worried about is also given alot of praise saying that it’s been worked well into a 2D space and is an invaluable tool to chain enemies together in order to maintain speed. Those who claim IGN are IGNorant to Sonic may want to think again after reading this Sonic 4 preview. Thanks to Doctor Eggman at the SSMB for the heads-up! GamesRadar’s Justin Towell has recently got to have a look at Sonic the Hedgehog 4: Episode 1, the first 3 levels to be exact and so asked the public to submit some questions about the game via their Twitter and Facebook. Today Justin has posted up 4 pages worth of the questions and his answers for your viewing pleasure. Check them all out over at GamesRadar. Thanks to Tornado over at the SSMB for the heads-up! 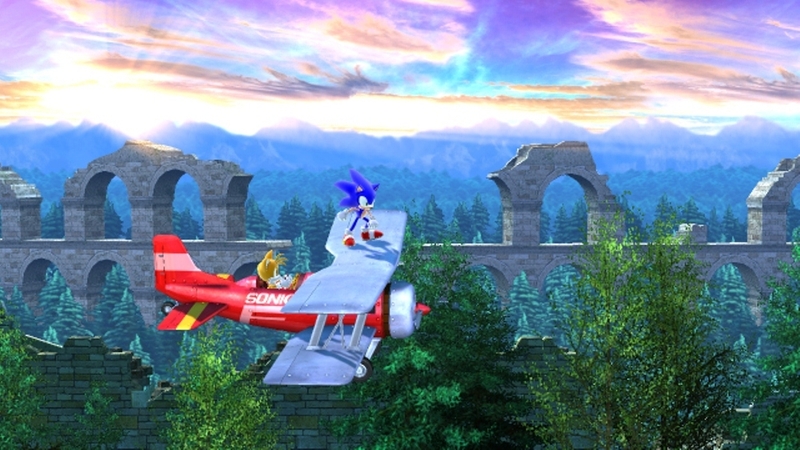 Two new Sonic 4 Wii screenshots have been added to Nintendo of America’s Sonic 4 product page they opened last month along with an hi-res version of a screenshot seen a while ago in Nintendo Power(the waterfall one). The page also confirms online leaderboards will be in the Wii edition of the game. How does this game use Nintendo Wi-Fi Connection? Compete with your friends to see who’s the fastest with online leaderboards! SEGA have updated the official Sonic 4 website with 8 new screenshots and some music from the Splash Hill zone, the first level of the game. The music gives off a very retro feel that the game is aiming for. The screenshots give us a better look at Sonic’s ‘wheel’ running animation seen very briefly in the leaked footage, another homage to the classic Mega Drive/Genesis titles. Also shown is more of the homing attack and and the return of some retro items in the form of the star post checkpoints, the vine swings and the item boxes/tv’s that we’ve seen before. 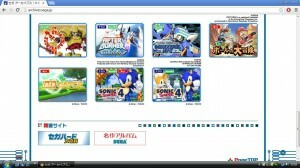 Eggman and his profile have also been unveiled next to Sonic in the Featured section. 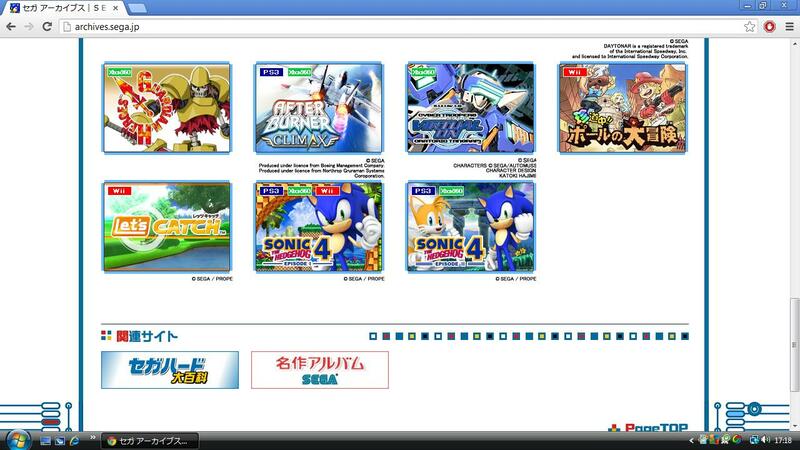 You can check out all this new media at the Sonic 4 website. CVG have posted up part 1 of an interview they’ve had recently with SEGA’s head of the western territory Mike Hayes. The interview discusses SEGA’s game plans for 2010 covering all IP’s including Sonic the Hedgehog where questions about Sonic 4 arise. Mike Hayes reveals the following game plan he holds for Sonic in 3 franchises, Sonic, Mario & Sonic and the All-Stars. Mike Hayes informs that Sonic 4 is being made for the ‘legacy’ fans which should make people who fall under that category happy to hear as long as the final product is what they hoped for. The question about episodes as seen in many interviews pops up again to which Hayes responds with a number of reasons such as low costs which means it is a better option to test how this kind of game is received. The thing with Sonic you need to understand is that there are different parts of the Sonic family. This is how we’re building the whole strategy. In one corner you’ve got Mario & Sonic franchise, in the next you’ve got Sonic The Hedgehog. Then you’ve got the All-Stars – that’s pretty much everybody. Then you’ve got something we haven’t seen for a while, which is like Sonic Heroes, multiplay-type game. Those are the four areas we want to develop. Interestingly, each of those is going to have different audiences. With the Sonic The Hedgehog brand, we have a lot of people who are legacy fans in a way. And that’s where the new game came from: Wouldn’t you like to play in the style of your old Genesis or Megadrive but in the beauty of re-enhanced high definition? It doesn’t mean we won’t tap into the All-Star games, or we won’t take Sonic in other directions in future. Why make it episodic rather than a standalone New Super Mario Bros-style release? Kind of a mixture of reasons. A lot of it is the whole digital entertainment part. We like everybody else are trying to learn how best to deliver entertainment in the future to consumers. This was a relatively low cost part of Sonic. We wanted to see how it was received via that delivery. 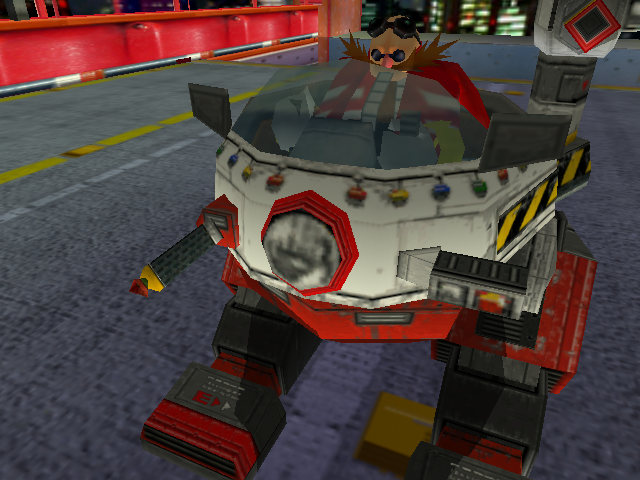 For something like Sonic 4, the consumer will often be quite core. They play a lot of multiplayer, a lot of downloads off XBLA and PSN. We’re feeling our way if we’re perfectly honest, but it seems to make sense. We’ll keep an eye out for part 2 of the interview and let you know if anything Sonic is discussed. SEGA of America community staffer RubyEclipse has posted a new topic at the SEGA forums informing the Sonic community that SEGA are ready to reveal new information about Sonic the Hedgehog 4 but they want to get the fans involved again. SEGA are holding a poll with two topics to choose from, either the homing attack or music and sound effects. In the near future, we’re going to get a chance to talk to you guys more about Sonic 4, including some in-depth discussion about the finer parts of the game. So, we’d like to let you guys decide which parts you’re most curious about and would like to hear more info on. There may be even more polls like this in the future, but this time around we’re letting you choose between more details on how the Homing Attack works in the game, or, alternatively, the Music / SFX in the game. Cast your votes between now and this Friday – there’s not an “all of the above!” option just yet, but we’d like to see what interests you the most. If you are interested in taking part you will need to sign up for a SEGA Pass if you don’t have one already. Thanks to Dusk the Biohazard Keeper at the SSMB for the heads up. While Sonic 4 will have shields, Episode 1 will only include the one hit shield. Just enough to help get your rings to the end of the stage. UPDATE 2: Game Informer screenshots confirm the reports at NeoGAF and also reveal tunnels from the classic series are back thanks to JasonTheJackass for sending us the screenshots. Game Informer interviewed Izuka who gave some new info on the game. Highlights include.. Episode 1 is a prologue. Moves include: Spin Dash, Rolling Attack, homing attack and a new move yet unknown. Classic special stages make a return. Hornet Badnik. (Forget his name. Not Buzzbomber) Shown in screen shots. 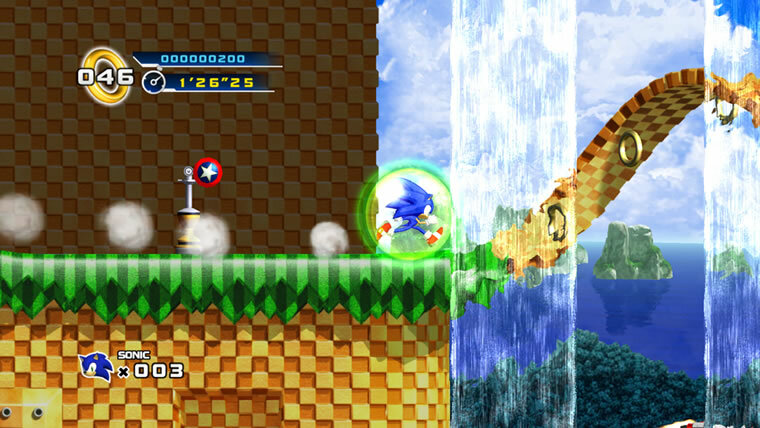 Other screenshot shows Sonic smash though a wall that becomes a bunch of checkered bricks. No floaty LBP physics. Classic Sonic Gameplay, classic Sonic speed. Says Izuka. Not 3-D, but all CG pre-render. Gamers will get classic “try again” ending if not successful at getting all emeralds. If you get all emeralds, you get cliffhanger ending for episode 2. Thanks to Doctor Eggman at the SSMB and JasontheJackass in this articles comments for the heads up. 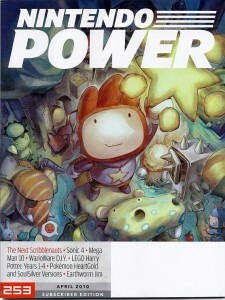 According to subscribers of Nintendo Power the U.S. official Nintendo magazine the latest issue contains an interview about Sonic 4 but no details further than that have been given as of yet. 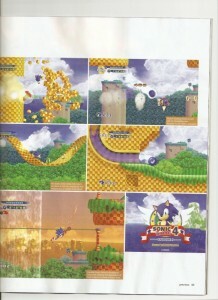 A scan of the magazine cover supports the fact it does indeed contain something Sonic 4 related. If you have the issue we’d appreciate it if you could send us any new information revealed to shadzter@sonicstadium.org and we’ll credit you in this article. 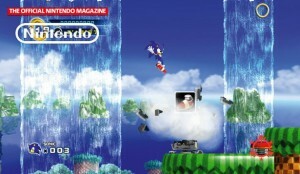 In other news the magazine has reviewed Sonic Classic Collection for DS and given it a score of 7/10. 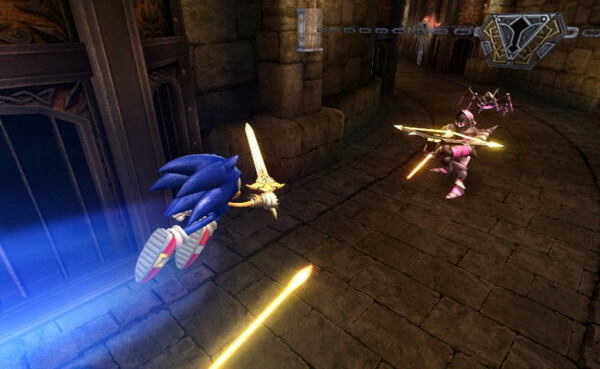 Newtron surprises Sonic again using optical camouflage to try and blast Sonic. 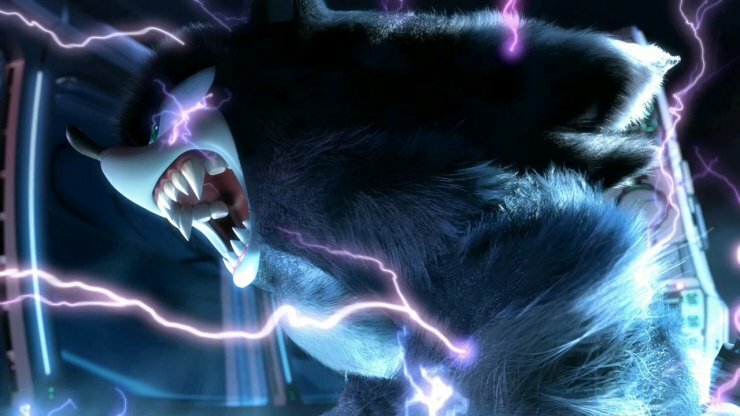 He can also transform into a rocket and charge towards Sonic. So unlike Motobug it appears he doesnt do anything new but its still cool to see him make an appearance again. Thanks to Eggman123 for the heads up! Following the news of Dimps working on retro revival game Sonic the Hedgehog 4 it has now come to light that the level designer who worked on Sonic 3 & Knuckles is also working on Sonic 4. 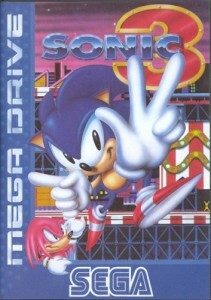 The revelation was made by SEGA of America community staff member Ruby Eclipse at the SEGA forums after fans cried out to them for the information. After a listing on the official Xbox marketplace went up earlier this week, a lot of you have been asking us about who’s developing Sonic the Hedgehog 4 Episode I. Some of you even called me out specifically asking for an answer – and today, I’m happy to say that we can provide you with the details you want. Yes, Dimps is working on the game. But there’s actually more to it than just that: at the same time, we also have members of Sonic Team, including the original senior level designer from Sonic 3 & Knuckles on the SEGA Genesis working alongside them. It is most definitely a partnership, and the result of this teamwork is something many of us are excited for. So, as requested – there you have it! 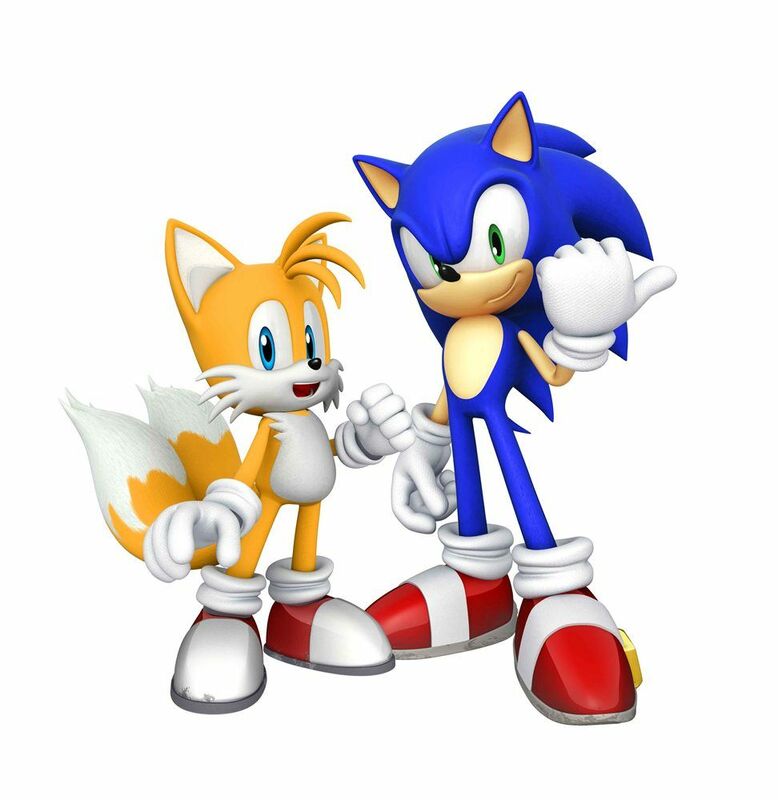 This combination of developers could bring a bright future for the game, Sonic Team gave us the classic Sonic games while Dimps have brought us the well received Sonic Advance and Sonic Rush titles. How do you feel about this news? Let us know in the comments.